The East Coast Organic Mattress Store® franchise owners will provide consumers with an extensive line of mattresses all made with organic ingredients, box springs and bedding items sourced from throughout the globe. The East Coast Organic Mattress Store® franchisees get the benefit of beautiful showroom designs, an education-based sales process and a customer service philosophy dedicated to creating customers for life. To vote for The East Coast Organic Mattress Store as a Top New Franchise, leave a comment on their franchise listing page. 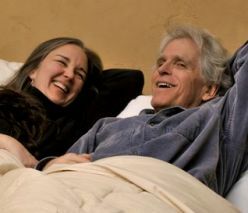 Dennis and Leora Hornick founded The East Coast Organic Mattress Store® almost 7 years ago. TopNewFranchises.com recently had the privilege of interviewing Dennis Hornick, who filled us in on The East Coast Organic Mattress Store concept, philosophy and franchise opportunity. Top New Franchises: How do you describe the The East Coast Organic Mattress Store franchise concept? Dennis Hornick: Americans spend 1/3 of their lives in bed, and we provide them with a way to enhance their sleeping experience. The East Coast Organic Mattress Store® provides consumers with a line of natural mattresses, box springs and bedding items that’s far superior to commercial, mass-produced products sold by most retailers. Our retail concept includes large, beautiful showrooms, an education-based sales process and a customer service philosophy consistent with our high-quality, green product line. Top New Franchises: What is an “organic mattress”? What is your product line, and what makes your products unique? Dennis Hornick: Our organic mattresses and related products are made from the finest organic cottons, organic wools and natural latex that we and our vendors have sourced throughout the USA and world. We have carefully screened all of our vendors to ensure that all their mattresses and other bedding products are made with certified organic cottons that have met the strict standards of the USDA National Organic Program, which is the gold standard. We have a written agreement with our vendors to provide us with the same materials each and every time. We ensure that all of our mattresses are designed to enhance the health of our customers as well as our planet. They are designed to significantly reduce stiffness, along with back and shoulder pain. Our mattresses provide uniform support from head to toe, eliminate pressure points, and the off gassing from conventional mattresses, and are dust mite resistant as well. Our mattresses will also control body heat by whisking away the moisture your body is putting off each night as you sleep. All of our beds are extremely comfortable as well. Top New Franchises: What is the need in the market need that The East Coast Organic Mattress franchise owners will meet? Can’t other retailers simply offer organic mattresses? Dennis Hornick: A growing number of people are sensitive to the abundance of chemicals used in the manufacture of everyday items, including mattresses and bedding. They are becoming more educated and interested in using natural products made with non-chemical materials and processes. Our average customer is informed, educated and armed with information. Some travel for hours to view our product line, which we believe is the best in the nation. The more educated our customers become, the more they realize that the East Coast Organic Mattress Store is really the leading retailer in the green bedding revolution. As for competition, the government has strict guidelines regarding what products can be called “organic.” We believe that the long and costly process that we went through in order to keep the word “organic” in our name and marketing is a significant barrier to entry for competition. The quality and depth of our product line is really second to none. It’s a key reason we have very good repeat business. Customers who know enough to invest in our mattresses don’t want to undo the benefit by using pillows, sheets and bedding that were mass-produced using chemical processes. 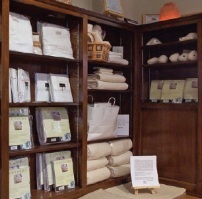 So we offer the wide selection of quality organic bedding choices, such as natural wool comforters and duvet covers, our OMS private label Pima Peruvian cotton sheets, and our pure shredded and contour rubber, wooly bolas and natural cleaned and carded wool, and millet/wool Rejuvenation pillows. We provide premium products for a knowing and caring clientele. It has taken us almost 7 years to source our product line and develop our highly valued USA vendor relations. 95% of what we do is made in the USA, but some things have to come from overseas, like the Natural Rubber cores which go into the mattresses. Those are key advantages our franchise program provides to franchise owners from Day One. Top New Franchises: Tell us a little bit about the kind of person who would make a good The East Coast Organic Mattress franchise owner? Is furniture industry or other retailing experience required? Dennis Hornick: Furniture industry experience is not necessary, though sales experience is certainly a plus… especially sales experience that involves developing a relationship and rapport with customers, as opposed to hard sell. The ability to develop long-term relationships with customers is key to our business, as is the ability to educate and communicate both our company and product philosophies. We are looking for franchise owners with a teachable spirit, who are willing to learn and follow a program that we have tested over the years. He or she has to like a little structure and be easy-going at the same time. A general knowledge of Word, or Excel, and a point of sale system is good, but this is all easily teachable. What it gets down to is having a beautiful showroom, opening up 6 days a week and getting the customers in there. Product knowledge is a major plus and delivery of the product. All the in-between stuff of ordering is the easy part. The selling part is easy since we have a beautiful product, but having sales experience is definitely helpful. We want good honest people looking to take a shot at being first out the gate and not afraid of taking risks. Everything is a risk, and nothing is guaranteed. We prefer non-smokers because most customers are non-smokers and it would turn the customers off. A franchisee can’t be afraid to work and he or she has to be green-thinking. Franchisees should be into a cleaner, greener lifestyle. They should walk the walk a little and gradually ease more into it as time goes on. Top New Franchises: How do The East Coast Organic Mattress franchise owners attract new customers? How do they create repeat business? Dennis Hornick: Over the years, we have developed numerous marketing and advertising strategies that enable us to target and engage potential customers in our preferred demographic. Our philosophy is to engage and convert every new customer into a customer for life. Our marketing and advertising techniques are shared with franchisees during training, and are included in our fine tuned Operations Manual. The Internet is a powerful way for us to connect with customers and potential customers. We are very aggressive in making sure that we and our franchise owners will rank at or near the top Google searches for the terms “organic mattress” that customers use. Once we sell a customer a mattress or mattress/box spring set, that customer is given Customer for Life status and gets a 10% discount on any top-of-bed products they purchase at any time, in any of our stores. Maintaining ongoing customer relationships and generating valuable referral business are top marketing priorities for us. Top New Franchises: What role does technology play in your organization? Dennis Hornick: We think of ourselves as both a high-touch and high-tech organization. We had a custom point-of-sale system built to our specifications which makes order processing, fulfillment, inventory management and financial reporting both efficient and effective. And as I mentioned, we value the Internet, Google and social media as ways to connect and communicate with potential and current customers. We value technology whenever it can streamline operations and enhance our customer communication, but not to replace face-to-face customer interaction and relationship building. Incidentally, our service philosophy extends to our franchisees also. We will provide extensive training and support, and we, as owners, will be very hands-on in getting them up and running as quickly and effectively as possible. Top New Franchises: What do you see as being the greatest non-financial rewards of being part of The East Coast Organic Mattress franchise family? Dennis Hornick: A franchisee will be hooking up daily with all kinds of forward, green-thinking people. Making new friends and building relationships as you go is a huge plus. As an East Coast Organic Mattress Store® franchise owner, you’ll be making a positive impact on your customers’ health, as well as the health of the planet. You are giving the customer an investment in their health. Without one’s health, all the money in the world does not mean a thing. Also, yes, you can take naps. In fact, naps are part of the deal. Without them how will your employees know what these mattresses feel like? Besides in this hectic world a good 15 minute nap will revitalize you and give you more energy to do your job. Top New Franchises: Where are you looking to expand? Where would you like to see your next organic mattress stores open? Dennis Hornick: We intend to expand regionally, with our initial focus on the Northeast. This way we can support our first stores easier rather than going national. We are looking into Brooklyn NY, North New Jersey, Philadelphia, Virginia, and Maryland. There’s a possibility I could be persuaded to expand my definition of “Northeast” to include Miami, Fla. though, since it’s only a 3-hour plane ride away and I love Cuban food. We are registered to sell with the attorney generals in these states. As far as the demographics of our store locations, we are attracted to upscale neighborhoods with the types of educated, green-minded clientele that also shop at retailers like Trader Joe’s and Whole Foods Market. We cater to people who care about their health, care about their comfort, and care about their planet and its living things. Top New Franchises: Thanks for sharing this great info about your franchise opportunity. Dennis Hornick: Thanks for the opportunity. 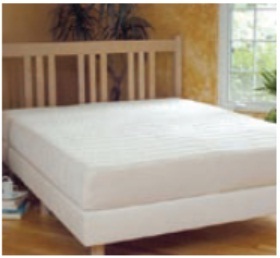 For more information, read The East Coast Organic Mattress Store franchise listing. Excellent mattress topic and blog. Dennis is an inspiration! Organic is the way to go on anything for the bedroom. We do spend a lot of our day in the bedroom and in bed hopefully sleeping. To insure a better night sleep choice organic bedding to go with your organic mattress.